At Pennington Health Services, also known as the Thief River Care Center, you’ll find healthcare, housing and services that center on community. Our caring and comfortable living communities provide our residents with the respect and support they deserve. Welcome to Pennington Health Services. Welcome home. What sets Pennington Health Services apart isn’t just one thing; it’s everything. Get to know our community from our supportive services to our friendly staff. 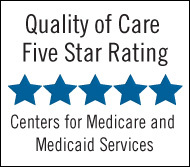 Tell us what you think of Thief River Care Center. © 2019 Pennington Health Services. ALL RIGHTS RESERVED.